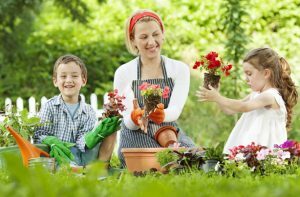 Home › Articles › Must I entertain my child right through the holidays? Must I entertain my child right through the holidays? School holidays, a time for children to enjoy playing and spending time at home! Unfortunately some parents and children don’t see it this way. Parents feel that their children must not become bored and that it is the parents’ job to make sure that their children’s days are filled with activities and excursions. We are scared that our children will tell us they are bored. It is, however, not good for our children to be entertained all the time. It is noticeable that it is precisely the busiest children who complain that they are bored. They are used to being busy all the time and when there are no scheduled activities they don’t know how to keep themselves busy. The omnipresent playmate-parent could be harmful to the child. By smothering children with scheduled time and constant parental attention, we are spoiling them in a negative way. What is usually missing, is time alone. This does not mean that you should leave your toddler unsupervised to keep himself busy. It means that your child should be allowed time to keep himself busy or simply to relax without inputs from friends, parents, carers or siblings. This is an essential aspect in the development of independence. It has been found that children who know how to fill their alone time never feel alone or isolated. They learn how to be really satisfied with whatever situation they find themselves in and they can think creatively in a given situation. By keeping our children occupied every minute of the day, we can smother their self-sufficiency. We are probably creating ever-dependent children. We must learn again to trust our children’s ability to handle open, unfilled time. We have lost faith in our children’s imagination and the power of human creativity. Regardless of the wonderful opportunities and technological inventions that are available to keep our children busy, it is important that our children should sometimes do some introspection, get to know themselves better and so discover new interests to keep themselves busy. You do not want your child to become an adult who doesn’t know who he is. If your child is not working to a strict agenda, he too can learn how to manage his time. However, this is not an excuse for not spending time with your child. Spend quality time with him every day without occupying all his time. Sometimes your child’s complaints of boredom could be a sign that he is yearning for your time and attention. However, before rushing in to entertain your child or sending him off to keep himself busy, evaluate the situation. Perhaps he really needs you, or perhaps he needs the gift of looking for ways to entertain himself.